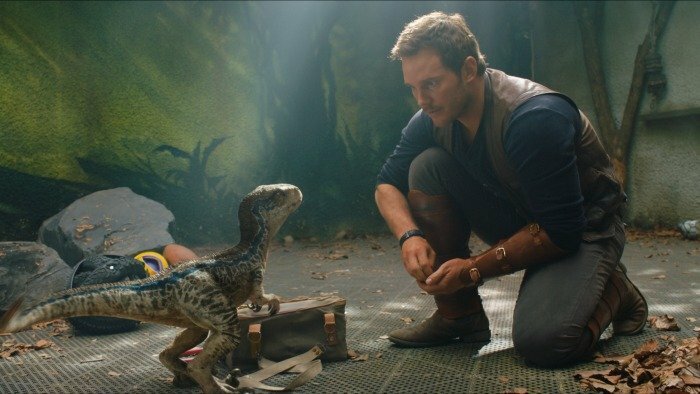 Jurassic World: Fallen Kingdom is available on Blu-ray NOW + Giveaway! *Disclosure: This post is sponsored and created in partnership with Jurassic World. These opinions are 100% my own. As you know, we are a big Jurrassic obsessed around here. I shared with you last week our Jurassic family movie night, we had so much fun! 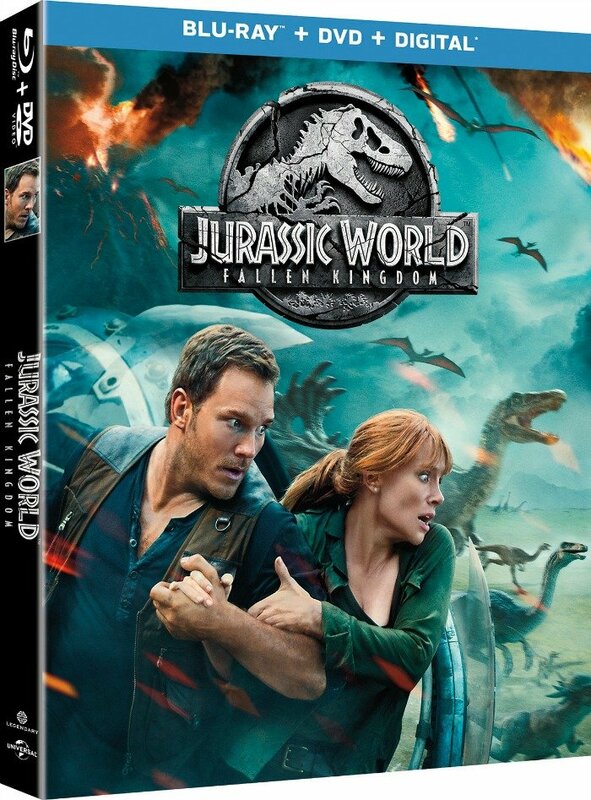 Because we love it so much, I thought it would be fun to also offer a little Jurassic World: Fallen Kingdom prize package giveaway that includes the newly released Jurassic World: Fallen Kingdom Blu-ray! Make sure to enter, it only takes a second and what the Blu-ray is a must have for your collection! 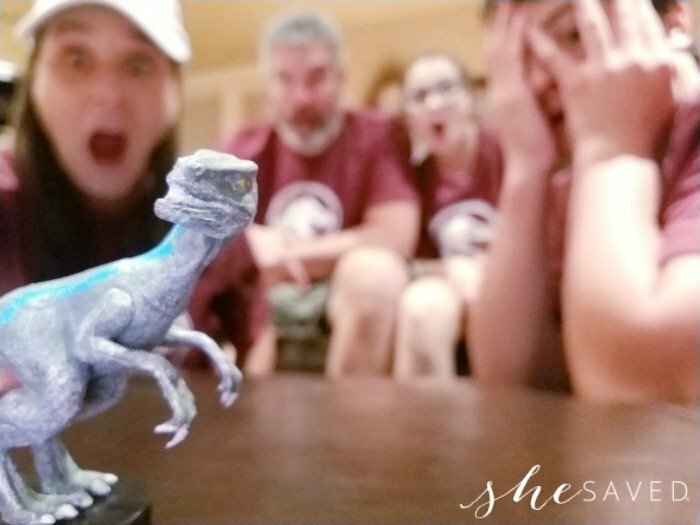 My family LOVES the excitement of watching these movies together, as you can see, we are #TeamJurassic all the way! One lucky She Saved reader will win a fun Jurassic World: Fallen Kingdom prize package that will include the Jurassic World: Fallen Kingdom Blu-ray, a Jurassic World hat and an assortment of fun dino themed candies! I will leave this giveaway open until October 16th at 11am (mnt time) … once closed, I will select one winner who will have 48 hours to contact me to claim their prize! GOOD LUCK!! I love the stories and the dinosaurs. Thank you! I love the Theme Park aspect of the movies. All could be a future theme park. I like the music the best and the velociraptors. All of the Jurassic Park movies are fun movies. I like the lush greenery. Like all the action in the movie. I like seeing all of the dinosaurs. My favorite thing about the Jurassic movies are the dinosaurs! I love Isla Nublar. Such a beautiful island. The kids love the baby dinosaurs. They like them when they are little. I loved the action and the characters the most.